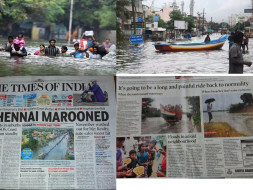 As you are all aware about 120cm of rain in November and a 25cm rainfall in 14 hours on 2 December 2015 has battered, submerged and caused the worst floods in CHENNAI and CUDDALORE –breaking a 100-year record. 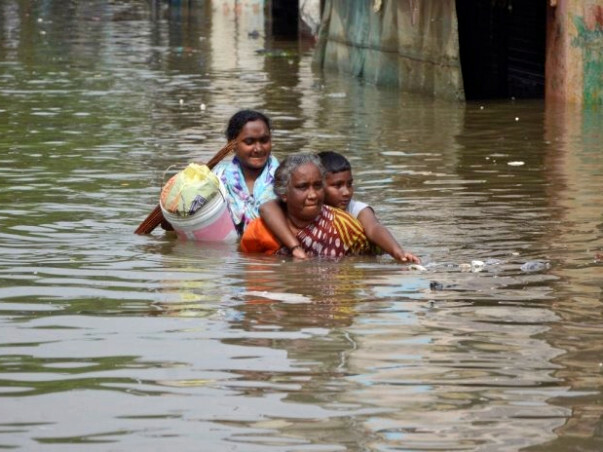 Lakhs and lakhs of people in Chennai and Cuddalore have been evacuated and living in temporary relief centers since their homes were washed out completely. 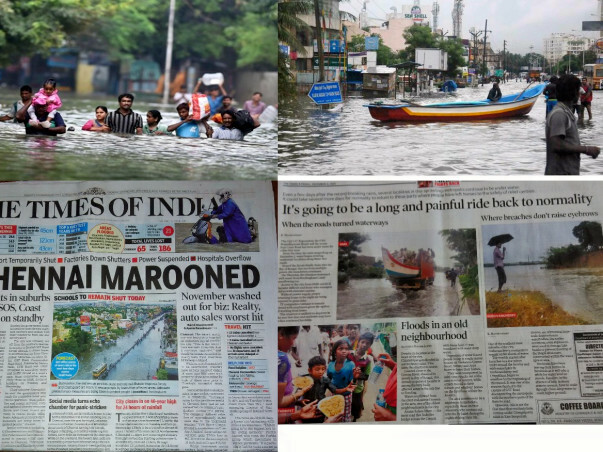 According to Newspaper reports nearly 57.000 families have lost their homes along with all their belongings and these flash floods have left them epidemic threat too. While food is available- Cloths, Bed sheets, Mats, Sanitary napkins,Towels,etc., are still in short supply. It is our endeavor to provide the victims long term relief materials like VESSELS, STOVES, GROCERIES KITS, etc., along with immediate relief materials to help them start a new life. HOLY CROSS EDUCATIONAL AND CHARITABLE TRUSTsituated in CHENNAIis duly registered with the GOVT. OF INDIA and DEPT.OF INCOMETAX as per laws of the country and working for the upliftment of the poorest of poor in Chennai since 2001 and you can visit our website www.holycrosstrust.org.in to know more about our services to the humanity. 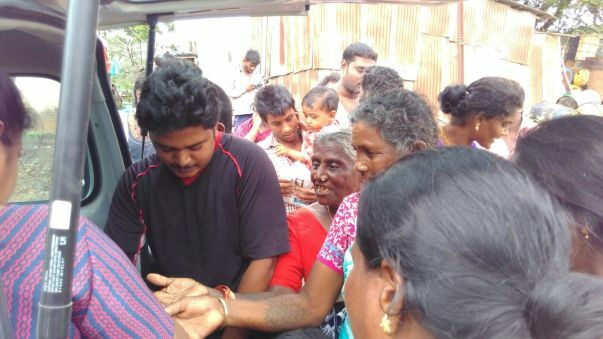 We have already distributed Food packets, Biscuits, Water bottles and some cloths to nearly 100 residents in suburban areas like Mudichur and Perungalathur with the limited financial resources available with us. As an immediate relief we want to provide Food, Mats, Sanitary napkins, Mats, etc,.and these basic relief materials are in short supply. 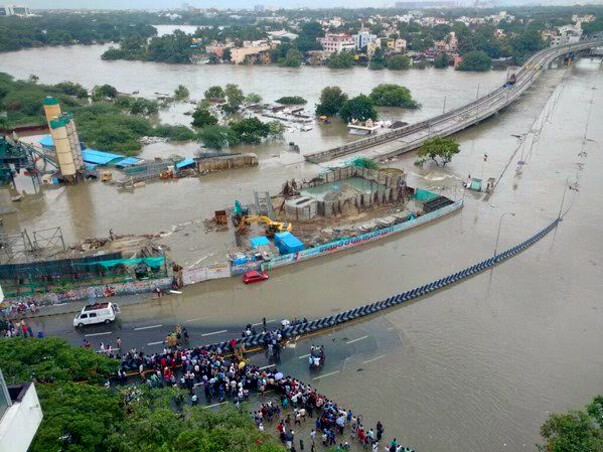 But as a LONG TERM RELIEF and REHABILITATION, we have decided to adopt 500 underprivileged families in CHENNAI and 500 families in CUDDALORE-another small town 200kms away from Chennai which has been devastated completely. We have planned to rebuild their homes with Asbestos roof or with any other low cost roof and provide VESSELS, STOVES, SCHOOL BAGS, BLANKETS, etc.,. as a long term measure and to start a new life. Further, these worst flash floods have caused a grave health hazard and the displaced people face epidemic threat. Hence, we have planned to conduct free medical camps in the affected areas and mobile medical camps at public places. A minimum of INR 20,000(USD 334) is required to rebuild a home with Asbestos or any other low cost roof and to provide them with basic needs like VESSELS, STOVES, SCHOOL BAGS, BLANKETS,etc, and to conduct Medical camps. Hence the task of adopting 1000 families and rebuilding a basic home for them involves a huge cost of USD 3,25,000 ( INR 2,00,00,000) and we assure you that all your donations will be surely utilized only towards this noble cause and our Audited statements of accounts will be sent to all the donors periodically. Your generous contribution of $100 will be helpful to purchase metal sheets (or) any other roofing materials to be used for roofing. Your Donation of $100 can be helpful to purchase Iron rods needed for construction. Our Trust receives no government aid-but look to God to provide and SEEK TO GET DONORS, SPONSORS& CONTRIBUTIONS or FUNDS to carry out the relief measures for the flood victims. Our Trust is committed to high standards of accountability and transparency. We pursue the highest standards through independent internal audit, statutory audit by reputed audit firm. Please consider telling your friends and family about our project - share the link on your blogs or social networks to enable us to meet our Goal. 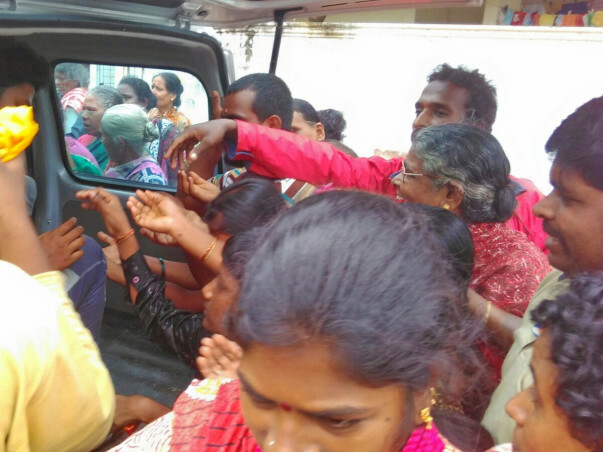 We feel only such long term measures along with immediate relief materials can ensure that these Brothers and Sisters start a fresh lease of life. Hence, we request you all to come together to lend a helping hand through your generous donation for the LONG TERM RELIEF and REHABILITATION of people worst affected by the floods. Our organization HOLY CROSS EDUCATIONAL AND CHARITABLE TRUST is registered with GuideStar India (www.guidestarindia.org). You can view our pages at: summary page http://www.guidestarindia.org/summary.aspx?ccreg=3012 and Our GuideStar India REGISTRATION NUMBER IS 3012. A proper Receipt from our trust with TAX EXEMPTION details will be sent to all donors as early possible and as per our transparent policy we will also provide our Audit Reports duly certified by Chartered Accountants to all the donors. As special thanks, we will be adding you to our special circle of friends and listing your name in our annual report and in our newsletters. Please visit our website www.holycrosstrust.org.in to know more about our services to the humanity. 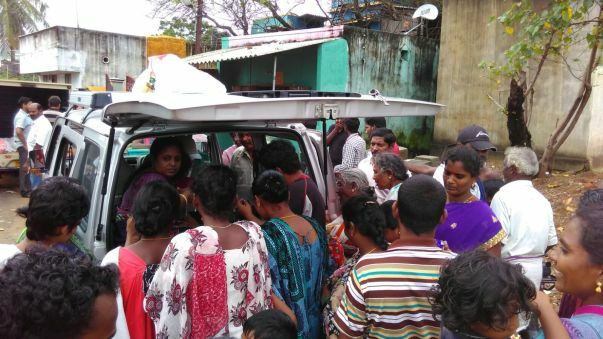 We visited an area called PERUMBAKKAM which is worst affected during the flash floods in Chennai and distributed Relief materials like CLOTHS, BISCUITS, NAPKINS, TOWELS,etc,. to the flood affected families. Let us Donate generously to this Noble cause and GOD will surely reward and bless us for our good deed. "Whoever is generous to the poor lends to the LORD and he will repay him for his deed". Let us support HOLY CROSS TRUST in this noble mission and GOD will surely bless us for our generosity. MAY GOD BLESS US ALL.